Earlier in the story, Rather hit Clinton from the left on the prices charged by pharmaceutical companies: “Too strong, or not strong enough, to say there’s price-gouging on these AIDS medicines?” Clinton pointed out: "Their view is they're protecting their intellectual property." Rather wasn’t convinced: "Can you argue with anybody who says, 'well I think it’s price gouging’?” Clinton came around: “Well, in my mind, I think they could sell them for a lot less without losing money. I do think that." On tonight's edition of 60 Minutes Dan Rather was supposed to interview Former President Bill Clinton for the "work" his foundation has done for AIDS relief. However, it quickly turned into a fluff piece that promoted his Presidency, how much he accomplished, and his hopes to be the First Husband. Clinton blames those big bad pharmaceutical industries for charging high prices for medicine that prevents people who are suffering from AIDS to use it. He accuses them of price gouging and thinks that they can "sell them for a lot less and not lose any money". Of course the report does not mention the amount of money and time devoted on researching cures and medicine that will prevent death. CLINTON: Well I don't think I could have done more. It was like pulling teeth to get any foreign aid money from Congress when I was there and when they had a President of their own party and they had their core Christian conservative constituents saying okay we want to fight this, and then it became much easier. I wish I could have gotten more but I couldn't have. Yes, that darn Congress. I don't think Clinton heard what he said. He thinks that Congress withheld on giving money and then some how predicted that a Republican President would be elected in '96 or in '00 and then they would give it. Congress punished millions of people just because Bill Clinton was not of their party? I hope that Bubba does know that not all members of Congress were Republican during his tenure as President. 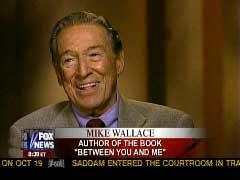 Mike Wallace Would Ask Bush Why He's Left America "So [Expletive] Up"
Jim Romenesko picks up on this morning's Boston Globe interview with 60 Minutes' Mike Wallace. Highlights follow; the questioner is the Globe's Suzanne C. Ryan. Newsweek's Jonathan Alter vs. Free Republic "Hit Men"
In the New York Times Sunday book review, Newsweek Senior Editor Jonathan Alter checks out "Truth and Duty," the apologia from Mary Mapes, the disgraced former CBS News producer of "Memogate" infamy, in which she blames right-wing bloggers and everyone but herself for how her "expose" of Bush's National Guard duty blew up in the face of her network. 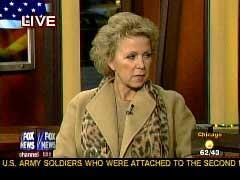 Mapes on Memos: "I Assumed They Were Forgeries"
The claims that Mary Mapes is now making on her Truth and Duty book tour are as obtuse and embarrassing as those made by CBS News in the 10 days after the 60 Minutes hit job on President Bush aired back on September 8, 2004. Mary Mapes, the former CBS News producer who became famous for her involvement in a “60 Minutes II” segment last year concerning President Bush’s involvement in the Air National Guard, had an excerpt of her upcoming book, “Truth and Duty,” printed in the December issue of Vanity Fair. “Mapes writes that she had felt the Guard segment was a big success after airing on Sept. 8, 2004, until the following morning at 11 a.m. when she learned that a bunch of ‘far-right’ Web sites were claiming that documents were forged. "That same day about 3 p.m. she recalls staring at the Drudge Report and seeing a big picture of Rather at the top and a headline saying that he was ‘shaken’ and hiding in his office. The phone rang and it was Rather, telling her he'd just heard about the Drudge deadline and he wanted to assure her that he was not 'shaken' and was not hiding out. "He signed off with a favorite expression of his: ‘FEA’ for ‘---- them all.’"
On this morning's Today Katie Couric devoted a large part of the 8:00am half hour to her interview with CBS News' Mike Wallace. During the segment NBC's graphic bragged: "Role Reversal, Answering The Tough Questions." However Couric never asked Mike Wallace about his most recent visit to a Brady Center fundraiser for gun control as blogged by Tim Graham. Mike Wallace to Time Magazine: I'm "Tough But Fair"
Time's "Ten Questions" feature is wasted this week on CBS "60 Minutes" hound Mike Wallace. I'm not saying Wallace isn't worth interviewing, but Time managing editor James Kelly gives him a complete book-promoting walk in the park. He doesn't ask about the latest Wallace gaffe in the news, his appearance at an anti-gun Brady Center fundraiser. Lesley Stahl Predicts Plame Case “Could Possibly Take Off the Way Watergate Did"
Recalling how Watergate “didn't take off until people started talking about higher ups” in the White House, on Tuesday night’s The Colbert Report on Comedy Central, CBS’s Lesley Stahl predicted that the Valerie Plame case “could possibly take off the way the Watergate one did." Stahl fondly remembered how Watergate “really took off as a big story when it went into the Senate and there were hearings held by the opposition party.” That, she dejectedly noted, “isn't likely to happen in this case" given GOP control of both houses of Congress. When Stephen Colbert, a veteran of Comedy Central’s Daily Show, whimsically pointed out on the second night of his new 11:30pm EDT/PDT show that “if you look at the issues, Nixon was a pinko. I mean, it was education and stopping the draft and women's rights and the environment. I mean, he was the boogie man at the time. But he's way to the left of John Kerry," Stahl disagreed and credited (or is it blamed?) Reagan for moving America to the right: "I wouldn't say that necessarily. But the whole country shifted right ever since Reagan. Reagan really moved us off to the right." A resigned Stahl soon added: "The center of the country has definitely shifted to the right. And there we sit." She didn’t seem pleased about it. Full transcript of the exchange follows.